Chevrolet Cruze facelift launched; Indian launch under the cloak! 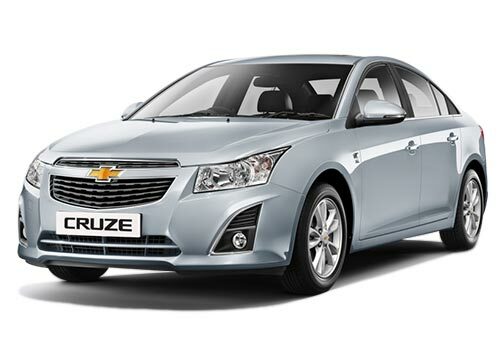 Malaysian car bazaar gets another car, this time it’s the facelift version of Chevrolet Cruze sedan. General Motors has given Cruze a mid-life facelift, which means this version has changes on the exteriors and interiors. On the outside, you would see reworked front grille, refurbished headlamps, newly designed bumper, 16 inches of attractive alloy wheels and redesigned fog lamps. 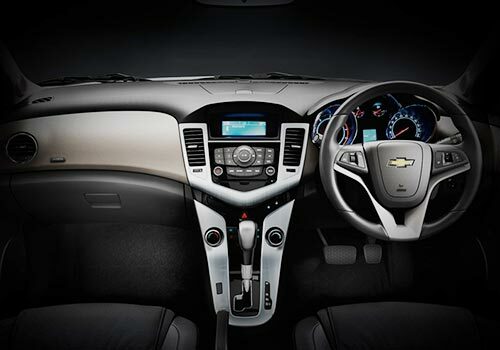 On the other hand, the interiors of the new Chevrolet Cruze feature MyLink infotainment system and better quality material. However, the company hasn’t touched the engine and the sedan is still installed with 1.8 litre EcoTec petrol engine generating 140BHP of high power and 176Nm of maximum torque. The Chevrolet Cruze Sedan facelift variant was first unveiled at the 2012 Busan motor show that was held in South Korea in the beginning of this year. After South Korea, Malaysia is the second country, which receives this facelift model. However, GM India had made it pretty clear at the launch of 2012 Cruze sedan that it will not be introducing any facelift of Cruze in India anytime soon. Not much time hasn’t been passed that General Motors blessed the sedan with a new engine, which means give the facelift thought a back seat for now. The diesel Cruze sedan available in India has been doing a very good business as the Indian car bazaar is right being dominated by diesel cars. The six speed manual transmission installed in this one was an impressive thing, which made 2012 Chevrolet Cruze in India a sought after car. Besides being top-notch in the technical section, the sedan in India has been blessed by various comfort and safety features. But the competition in India is increasing day by day, so we hope that the facelift Cruze of Malaysia is brought in Indian as well.